Wow. I must say that this has been getting to be the closest I have got. I have been trying now for a couple of years on and off and trying different methods which have all failed. This way unfortunately I have had disturbed peace whilst trying to focus but I am going to get some ear plugs which should help. If your footsteps go in the wrong direction, follow somebody else's. Yesterday i juat had a second "almost" succsessful try. This time I was in that "near sleep" condition when I can still think conciously. Then I started thinking for OBE and i said to myself that I want to expirience it. Then suddenly I felt the falling sensation and right after that the vibrations started very hard. I couldnt handle it and they reduced. Then i tried second time. They came strong and I felt so light. Tried to move but I was paralised. Then I imagine myself flying from the roof to outside and it happend. I juat saw the sky and the vibrations rapidly reduced, my view bluried and I woke up conciously. I dont know if the flight was real or just a hallucination but the vibrations were real just like before. For some reaaon I can't go further bit I willl continiue. This is the best technique for me. They say a pictures worth a thousand words. Again, will see if I get good results with this. That day I decided to hit gym after 3 years of doing apsolutely 0 training. Been there for 2 hours, and to say I was tired is an understatement. I couldn't wait to hit bed and fall asleep. I wasn't thinking about AP or other dreams, I just wanted to rest. When I layed in bed, my body felt 2 times heavier. Within seconds I couldn't move, neither I wanted to. I was so worn out I couldn't move a finger. Literally. It didn't take too long. After a minute or two, I started feeling this incredible vibrations all over my body. I understood what they meant and I just let them vibrate. Vibrations lasted for 15 seconds before my conciousness started separating. I started going up and found myself around 20cm above my body, floating. I still kept my eyes shut closed, it wasn't right time to open them. That's when I decided to say a phrase I use to say before I went to bed, when I was practising meditation and lucidity; "I'm conciousness and I'm projecting. I'm experiencing the non-physical. I'm ready." The second I said I'm ready, I started going backwards, I wasn't falling, I literally went backwards, I was travelling backwards. I went around 100-150m back (around 5-6 seconds) when I felt completely positive I'm in non-physical. I felt stability and I opened my eyes. I was on some dirt road. In front of me (where I supposedly came from) were woods. I was surrounded with incredibly green meadows and sky, oh man, sky was beautiful. It was changing colours! I think I spent good 5 minutes just looking at it. That's when I started flying and enjoyed myself for good 20 minutes. It almost felt like I'm on some quest, exploaring. It was amazing. I had few AP's after this one, bunch of lucid dreams and one projection what you would probably refer to as OBE. No matter how many times I read about it, no matter how normal it is, when you see YOURSELF lying on bed, your body sleeping, that's one of the most uncomfortable feelings in world. It just doesn't feel right and tends to ruin your stability. I don't separate my experiences, it's much easier like that, but can't describe them well with words if you don't know what is what. Either way, after every single lucid experience, I had false awakening. I want to wake up and I can't. I just restart my lucidity, I'm on my bed, leaving body, again. Sometimes 3-4 times in row. Usually to a point where I lose my lucidity. So, I wanted to ask you, if some of you use it. Do you have any object in real life that can't or won't work in non-physical no matter what? Something I can use as reality check? It's hard to distinguish reality from dreams just by thinking about it, not after 4th false awakening . For reality checks, I read somewhere you can try forcing your finger through your palm... Doing that in the real world wouldn't work, but doing it in a dream with enough effort proves to be effective in deciding whether you're in a dream or not! As for how I did this technique, I haven't been able to do it properly yet. (Fell dead asleep last night, and this morning I didn't have much time to do anything!) When I do get an opportunity, will report back! You know what's tricky, though? When you do a reality check and still fail to recognise it as a dream. Happened to me many times. But then I woke up fairly early this morning, and thought while lying there that this was a perfect time to try again. I did... and after a couple of minutes, ONE EAR closed up and started whining, so I was close! But then I had to go to the damn toilet, and after that, I was too awake to be able to get back to what I was doing, so... At least I made progress! Now obviously, a dedicated gemstone is probably going to be better, but if you simply came across a particularly unusual rock and it had the right qualities, would that do the job as well? Would rather "find" my special rock than have to purchase one, that's all. If you made yourself as the gemstone, it'd still work. Its the belief you need something extra that's slowing you a little. Believe in yourself and it shall be so. Fuel? What fuel? Mah, nevermind. I was thinking a watch maybe? Like pocket watch or something that I can look at for around 20-30seconds and if nothing happens I'm awake, if it does I'm not. I never tried it, but I read that it's really hard to see numbers when dreaming, even if you focus hard and try to see them? Is it true? There is no "fuel tank". Unless you want to call "focus" your fuel tank. You lose focus... you lose your projection... you snap back to your default reality (this one). @Szaxx: Not sure how that would work, but fair enough... it was more for energy exercises. @IsayWhat: "Fuel? What fuel? huh Mah, nevermind. I was thinking a watch maybe? Like pocket watch or something that I can look at for around 20-30 seconds and if nothing happens I'm awake, if it does I'm not. I never tried it, but I read that it's really hard to see numbers when dreaming, even if you focus hard and try to see them? Is it true?" @Xanth: What I meant was something personalreality said; he was mentioning a car's fuel tank as an analogy to using energy exercises to boost the amount of time one can be out for. Just head to pages 5-6 and read them, this is where I got my info from, and yea, it probably is just focus, I just like to call it "fuel" as that's how PR explained it. I understand, I just firmly disagree. "Energy" (as a subjective label in itself) plays no role in your ability to actually project. You're projecting right this very second... energy plays no role in that. You don't magically cease to stop projecting just because you run out of something you're subjectively calling "energy". Legit, so pocket watch will work? Imma cry if I can read numbers in non-physical and fail to realize I'm still asleep. @Xanth: Fair enough then, you're probably right. Speaking of which, I plan to attempt again soon. Wish me luck! @IsayWhat: Actually, I can tell you firsthand that a clock doesn't work in a dream; One time when i had a false awakening, I went out to the kitchen to check the time, but the numbers on the oven were gone! So yes, a pocket watch, especially a digital one, will work as a reality check. Of course, if your oven has a clock on it... That works too. I still have a problem and can't seem to finish the whole process. This morning I had a falling feeling and I tried to exit but i woke up paralysed. I was laying on my side and watching at my hands and tried to move them. I had the feeling they are moving but they really didnt. I tried to turn myself on my back while I was paralysed but I felt this like a big effort and like I don't have the strenght to do it. So I just closed my eyes and then woke up not paralysed. What else can i do to be able to exit while paralysed? Sirkgarf, do you remember this post from Nov 24th 2014? "Yesterday i juat had a second "almost" succsessful try. This time I was in that "near sleep" condition when I can still think conciously. Then I started thinking for OBE and i said to myself that I want to expirience it. Then suddenly I felt the falling sensation and right after that the vibrations started very hard. I couldnt handle it and they reduced. Then i tried second time. They came strong and I felt so light. Tried to move but I was paralised. Then I imagine myself flying from the roof to outside and it happend. I juat saw the sky and the vibrations rapidly reduced, my view bluried and I woke up conciously. I dont know if the flight was real or just a hallucination but the vibrations were real just like before. For some reaaon I can't go further bit I willl continiue. This is the best technique for me." What did you do then that you didn't do now? Pay particular attention to this line here "Then I imagine myself flying from the roof to outside and it happend. I juat saw the sky and the vibrations rapidly reduced, my view bluried and I woke up conciously." You created an intent and found yourself there. No matter how brief it was, you were still successful. Intent is the "key" that you were missing this on your recent attempt. Everything that you stated today was based on your "physical focus". 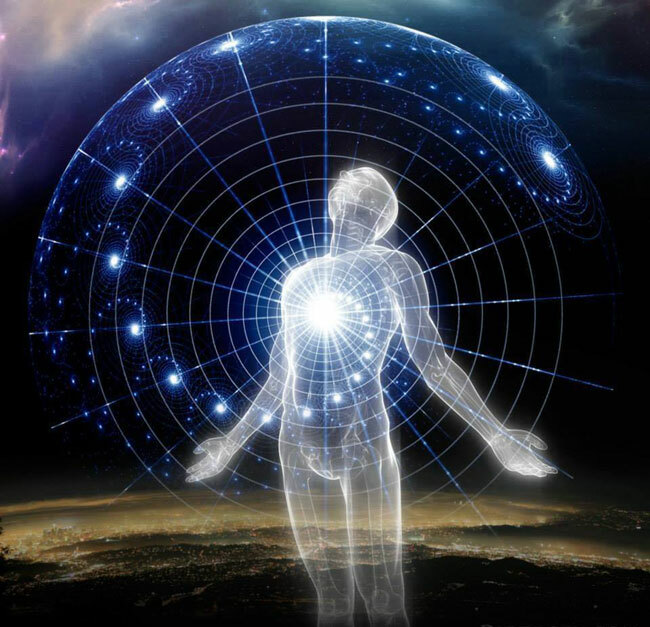 You found yourself in the proper mode to actually project, but then you turned your focus back on your physical body and what was being experienced. Instead, you should have just once again "imagined" a scenario, like flying to a roof top for example. This would have created an intent away from your physical body awareness, that could have been achieved. Yes maybe this is the key. Even though I am not scared when Im paralysed anymore, looks like it's still a huge barrier for me. I will try to control my focus next time this happend. The thing is that I cant really start projecting intetionally and most times these expiriences happend randomly when Im not ready or prepared. It's a huge barrier for anyone new to this practice. Actually, I have to admit, I have personally still to this day become aware I was in Sleep Paralysis and stop it due to fear. It happens. When I hear someone say that they had the vibrations or awoken in SP but stopped it, I know it's the fear that overcame them. They don't like to admit it, but it's the truth. Just when you think you have seen everything, it changes. I have recently become consciously aware in some of the most bizarre forms of SP and immediately stopped it. Fear overcame me. This is very unusual for me because normally I will just observe it and find myself in another place. I don't necessarily have to make an intent now. I just trust what I am being shown and where I am being led. But, this has come after many many successful projected adventures. This new SP that I am experiencing is very powerful. It seems like more of a huge energy pulse than a normal SP episode. They say the opposite of "Love" is "Hate". I personally believe it's "Fear". Fear is just as strong as Love is. Fear overcomes you. Fear challenges you. But, it's the single most important thing to overcome if you wish to progress with this practice. The only way to overcome it is to confront it head on. Once again, easy to say, very hard to do! Okay, I have a question. I am taking you literal here. I realize this is an old thread and things change but based on "energy plays no role on being able to project", --> Is it's purpose merely to prepare you mentally or help relax you so you can get in the right state of mine in order to obe?? Is it only just a way to relax? Or is it even necessary? This might be one of those things that has been misinterpreted by me for years. In all the RB stuff I've read and studied, plus many other authors, I had alway thought this was sort of a prerequisite to obe. Now reading that one statement, I feel like I am having some sort of "eureka moment" and i don't want to misinterpret what I think you mean.. I just need a little expansion on this if you have a moment. edit: I got out my Astral Dynamics book to see where I got this idea that raising energy was necessary and one spot in the book is the last paragraph in chapter 9. (I have the 1rst version of the book with the lotus on the front cover). It says basically to 'effectively manipulate our energy body, you use body awareness with tactile imaging'. I have tried doing that for 10 yrs without success. I have had three full blown obe's prior to that without any tactile imaging. My obe's were prior to having ever heard/read about tactile imaging. My problem is replicating how I did it or figuring out how I did it. RB was the first author I found in my quest so I bought everything he wrote. I am thinking either I misunderstood what Bruce was talking about or something else .. I'm not sure. Maybe my confusion is that of the original poster -- confusion over what the energy body really is..
One other spot in the book is the first paragraph of chapter 13. "Raising energy is an essential part of stimulating, developing and powering the higher function of the energy body, including out of body projection". These two examples in this particular book make the reader (or me) feel like raising energy is necessary in some form or another for an obe to occur. My understanding based on RB was that you had to stimulate the energy body through energy for that obe to happen. I'm just asking for clarification and wondering if I misinterpreted RB's meaning.--?? I have reached a point in my own beliefs that I am more open now. I do not think there is only "one expert".. Everyone who has successfully obe'd is an expert. I have expanded my horizons so to speak and I'm just asking for your expert opinion, with all due respect. I want to add one more thing. I don't believe anything is absolutely right or absolutely wrong. But there are different ways of viewing the same thing. And sometimes that slight variation makes the difference. That variation is what I am looking for. 1. First question is definitely what you expect.. was it an OBE? or just a dream? 2. Why couldn't I enter my nephew's home? I know its an odd question but any comments are welcome. 3. Giving myself oscillation a good idea? Is it similar to vibrations? 4. Do you think the beats played a role in inducing this OBE (if it is an OBE)? Your description fits quite well. The closer you are to the sleeping body the more 'interference' you can experience. As you had noticed excitement affected your experience, this is normal too. It would appear that trying to heal someone can only be done by those with experience. That is obvious lol. If you haven't mastered the skill in the NP, you may have been unable to access his home for this reason. When you think about guides looking after us, it speaks for itself. You don't hire a baker to do your plumbing lol. The beats only help relax you and at best put your brainwaves into the correct frequencies. They help by removing interfering noises too. Your mission was driven by intent and you never doubted yourself. This alone is a great help to any attempt. As thoughts manifest, yours were precise and you successfully made the exit. The mission may require more learning on healing. That's the only part you missed out on. Your English is very good too.